Explorify was created in 2016 as part of the Wellcome Trust's commitment to investing in primary science. 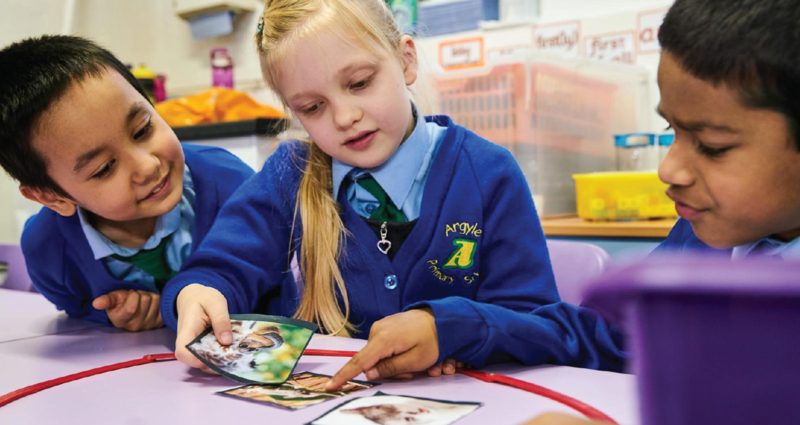 Using evidence-based research, we worked with teachers and other organisations in the science education sector to produce and test a set of activities that would help to develop pupils' thinking skills and lead to scientific enquiry. Research that we and others have conducted – including Primary Science, Is It Missing Out? – identified a range of factors that can help improve the quality and enjoyment of science in primary schools. These factors include access to science expertise and training, better strategic leadership and an investigative approach to teaching. Teachers told us that they wanted to make science fun and exciting, and they wanted pupils to develop better enquiry skills and become independent learners. There was a desire for something that would spark the pupils’ imaginations and curiosity, and fit easily into teachers’ timetables. We realised that we needed to create something that was relevant to the curriculum and simple to use, needing very little preparation and no special resources. We knew the importance of working collaboratively to bring effective change, and that this needed to be sector-wide, so we enlisted a range of partners to help make this happen. After working with teachers and consultants to develop a series of activities, we tested these in summer 2016 with two pilot programmes. The feedback was impressive so we knew the principles were right, but we needed to test and refine further. Since then, we’ve run three more large-scale pilots using the Explorify activities accessed via our website. We realised through this process that completing a programme of 10 initial activities over three to four weeks was the most effective way for teachers to see an impact on their pupils. Completing several activities in succession helps children develop and build skills to think like a scientist, and teachers will be able to observe the changes in their pupils’ communication and confidence. Thousands of teachers have signed up and hundreds have rated and sent feedback on the activities to give you the resources we have now. This is an iterative process which we continue to refine: looking at data; speaking to teachers and collating all feedback provided through diary studies, rating and comments on the website, email and social media. If you are a primary school teacher who would like to get involved in our research and evaluation please join our Facebook Staff Room where we regularly post opportunities to get involved in studies and research. Learn about more about how Explorify is used in classrooms with our teacher case studies. Explorify has been created by Wellcome, a global charitable organisation that supports scientists and researchers, takes on big problems, fuels imaginations and sparks debate. Wellcome believes all pupils should be inspired to be confident, active and informed citizens in science with the opportunity to progress into science related careers. As a global charitable foundation, we are working to ensure that all pupils in the UK have access to a world-class inspiring and relevant science education by supporting education research, professional development and primary science. Find out more about Wellcome’s Education work.